By Sam Goldman, Noozhawk Staff Writer | @Sam__Goldman | November 24, 2016 | 8:37 p.m.
As the holiday season kicks off, community-minded consumers are using the lucrative post-Thanksgiving shopping rush as an opportunity to support local businesses. 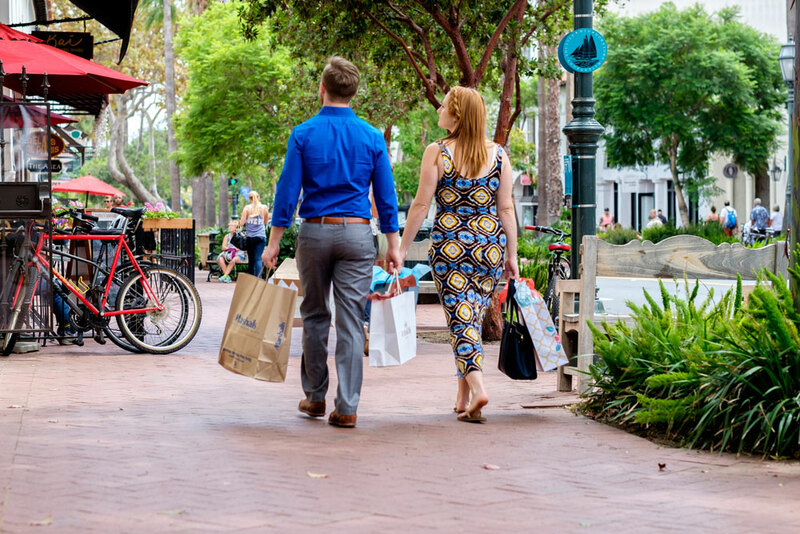 This weekend, the Downtown Santa Barbara organization is leading its third Small Business Saturday event — a concept started in 2010 by American Express. “Our locals really support downtown during this season,” said Kate Schwab, the organization’s marketing and communications director. Some 90 percent of shoppers this time of year are locals, as opposed to tourists, she said. Over 50 downtown businesses are participating, and many are offering special deals that day. The Book Den at 15 E. Anapamu St. is offering two $100 gift cards, and Andersen’s Danish Bakery & Restaurant at 1106 State St. is offering free butter cookies with any meal purchase. “We just wanted people to focus on shopping locally downtown,” Schwab said. In the plaza in front of the 900 State St. Marshalls on Saturday will be a book signing by author and Eat This, Shoot That! proprietor Tara Jones, music by Holiday Horns and free gift wrapping by LifeChronicles. This time of year is especially helpful to small businesses operating in Santa Barbara’s most expensive neighborhood, said Philip Friden, owner of coffeehouse Good Cup, which has locations at 918 State St. and 1819 Cliff Dr.
Business, he added, “really picks up with all the holiday shopping.